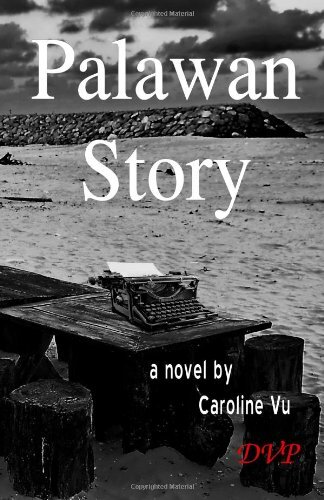 Caroline Vu was born in Saigon and grew up there during the Vietnam War. In 1970 she moved to the USA, before settling in Canada where she became a physician. She draws on her childhood experiences for her debut novel which tells the story of Kim, a young girl who escapes the newly Communist Vietnam and is adopted by an American family. Kim’s story opens on 30 April 1975, the day the Americans pulled out of Vietnam. Watching the last helicopter leave Saigon on television, Kim, who lives in Hue, thinks she sees her father scramble aboard. Her mother doesn’t react but Kim is sure it is him and his absence haunts her. Kim is a vivid character and the naïve style that Vu employs suits her well. She lives with her mother, who appears to be rather hard and cold, and her grandmother, who puts the family in peril with her frequent outbursts against the Communist regime. Kim works hard at school and diligently takes part in her after-school job cleaning her neighbourhood along with the other children. One night in 1979, when Kim is fifteen years old, her mother wakes her and takes her on a long walk to the coast. She puts Kim on a refugee boat and disappears, hurrying to make her way back to Hue before she is missed. The only person Kim recognizes on the boat is Aunty Hung, a woman her mother has known since childhood, whom Kim has never liked or trusted. 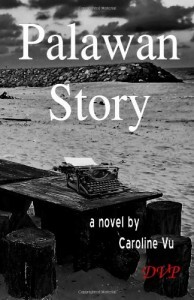 After some time at sea the boat is picked up and taken to Palawan Island in the Philippines and Kim finds herself in a refugee camp. An American immigration officer mistakes Kim for an orphan and she is shipped out to the USA and a new family. Vu has chosen to tell Kim’s story in the first person, accessing her private thoughts as she pretends to her new American family that she has no parents. It is an effective choice and Kim’s voice is strong and engaging. Her struggles to adapt to a new culture are fascinating and her memories of her time in the refugee camp are stripped back and alarming. It would be easy to forget that this a novel and not an autobiography. Kim, like Vu, becomes a doctor and volunteers to go back to Palawan to help the refugees. There are frightening blanks in her memory of her time on the boat, blanks that she must fill in to find peace, which means retracing the steps she took escaping to the West. For many, grainy television footage of desperate people on tiny boats is all that they know about the Vietnamese boat people. Vu goes behind the faded headlines to show the tragedy of her homeland through one girl’s brave journey to a new and very different life.